With their penchant for several year, multi album ongoing storylines, operatic bombast and truly epic feel, they put out a staggering 10 albums, 2 EPs and a rather unique single which inspired a nonogenarian horror legend to front his own metal project thereafter! Notable for a Dungeons and Dragons inspired immersive world building experience in audio, they employed choir and orchestra to a degree that few if any dared imitate. 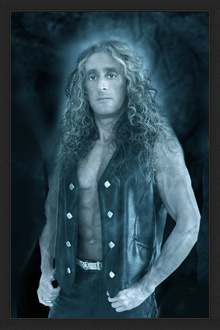 Forefronting the sort of effusive emotionalism that could only come from the birthplace of Verdi and Puccini, the golden tones of core members Fabio Lione and the keyboard work and compositional skills of this man spearheaded and popularized the genres of both symphonic and power metal. Join us as we speak of legendary tales and heroic doings, with Alex Starapoli of the legendary Rhapsody (of Fire), only here on Third Eye Cinema!